Business hours:Monday - Friday 8.30 a.m. - 4.30 p.m. Reception hours of the Consular/Visa Section:Monday - Friday 10.00 a.m. - 12.00 p.m. The Lithuanian Foundation, Inc. is a registered Illinois not-for-profit foundation dedicated to preserving and fostering Lithuanian culture and traditions in the United States, Lithuania and Lithuanian communities worldwide. Since its inception in 1962, the Lithuanian Foundation has advanced its goals by awarding $20,000,000 in grants and scholarships. The Lithuanian Folk Dance Institute Inc., abbreviated as LFDI Inc. - in Lithuanian, Lietuvių tautinių šokių institutas - abbreviated as LTŠI, is an independent North American cultural institution, whose mission is to study, foster, and support Lithuanian folk dance. It is a incorporated, non-profit organization. Founded in 1915 and reorganized in 1940. It provides authoritative information about Lithuania and its people, and represents the interests of the Lithuanian-American organizational community. 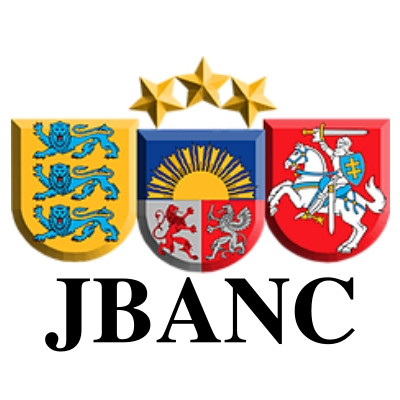 Established in 1961, JBANC has represented the Baltic-American communities and its three parent organizations, the American Latvian Association, the Estonian American National Council, and the Lithuanian American Council. Our goal has been to help coordinate their activities in Washington, DC with the U.S. Congress and administration and its related agencies in conjunction with issues related to Estonia, Latvia, and Lithuania. We have taken great pride in over half a century in joint Baltic cooperation and in being able to help coordinate and consolidate our common interests. “DRAUGAS” (“Friend”) is a Lithuanian newspaper published in the United States since July 12, 1909. It is the oldest continuously published Lithuanian newspaper anywhere in the world. “Draugas” - seniausias už Lietuvos ribų leidžiamas lietuviškas laikraštis. Draugaukime! Įkurtas 1909 m. liepos 12 d. Wilkes Barre, PA, ir į Čikagą perkeltas 1912 m. - "Draugas" seniausias be pertraukos pasaulyje leidžiamas lietuviškas laikraštis.